You’re ready to grow your business, and you’re sitting on an amazing application or software tool idea. The only problem is that moving from the concept stage to execution requires a skill set or human assets that you don’t currently have. That means that to turn your cutting-edge concept into reality, you will need to find a great software development company and work closely with them to refine and then build your idea into a product. If you’ve already started searching for a software development company, then you know it’s not exactly easy to choose one. There are a lot of firms out there, making a lot of promises, and figuring out which of them can deliver on those promises can feel like a full-time job. Luckily, you don’t have to cross your fingers and hope for the best when you search for a development firm to build your custom software solutions. There are certain qualities you should be looking for in a software development company. When you find a firm with all of them, you can rest assured they’ll do your idea justice and make good on their promises. Should you filter companies by cost? Yes and no. Price will certainly be a factor in your choice of development firm, so make sure you’re getting what you pay for. Custom software development is an investment worth making, provided you choose a software development company that has the experience, skills, and manpower necessary to complete your project — plus a price tag you’re comfortable with. Sometimes it makes sense to pay more when you’re clearly getting more (e.g., rigorous testing, long-term support, UX design, etc.). Ask what the quoted cost covers, and judge the cost of custom software development based on your anticipated ROI. Don’t make the mistake of choosing the cheapest software development company because chances are that you’ll save money at the start of your project, but end up paying a lot more in the long run. That’s because a discount firm will more than likely give you badly written code with no documentation that eventually leads to technological debt. Testing probably won’t be included in the quoted price — if they even test at all. The easiest way to determine whether a software consulting firm or development company has the know-how to get your project up and running is to review their portfolio. You need to see not only whether the company can successfully complete a project, but also what types of applications the company has worked on in the past. A solid portfolio with lots of projects indicates that the company has a strong methodology and can meet the challenges that inevitably are a part of every software project. If a firm doesn’t have a portfolio, that’s an obvious red flag, but you should be looking for more than just snapshots of past work. A software development company that is proud of its reputation will be able to back their promises with data-driven case studies, client satisfaction statistics, and testimonials. They may also be able to point you to reviews on The Manifest, GoodFirms, Clutch, TopDevelopers, or other sites. Ask to be put in touch with previous clients who will be able to tell you more about what working with the company was like. When you contact previous clients, be sure to ask about communication and how they evaluate risk. At Bitbean, for instance, we take an up-front approach to risk evaluation so you get a clear picture of the potential value risk (whether people will buy it), usability risk (whether people can figure out how to use it), feasibility risk (whether our engineers can build what you need with the time, skills and technology we have), and business risk (whether this solution also works for the various aspects of your business) before your software is built. The firm you choose should be able to explain their billing policies and process in just a few words. Ask about how they arrive at their estimates, hourly rates, and billing procedures, and if you don’t feel like you’re getting a transparent answer, move on. Your goal should be to find a firm that won’t pad invoices, add unnecessary hours or people to your bills, or send you an unexpectedly big bill midway through your software project. You should feel comfortable paying for bills as they come in because the company you’ve chosen has clear pricing methods. As you search for a firm with a track record of successful custom software development, don’t forget to consider whether the companies you’re looking at have worked in your market. A software development company with a strong portfolio full of projects rooted in the healthcare industry might not be the best choice to develop a lifestyle application or a retail support platform. One of the first questions you ask companies should be whether they have ever handled a project in your industry or with features similar to your own. Can they offer product strategy services (which we do at Bitbean) in addition to web development? The success of your software project literally depends on how well your software development company can communicate. The greatest coders in the world may not be the greatest communicators, but if a firm has project managers or other liaisons who can help bridge the gap between the people whose primary language is tech and people whose primary language is business, working together will be easy. The firm you choose should also keep the lines of communication open. Ideally, you should be talking to your developer weekly, but if you need to chat more frequently, it shouldn’t be a challenge just to get in touch. And if it’s tough to even get a call back? Move on. At Bitbean, we make a point of always getting back to potential clients within one business day or sooner, and we think that should be the industry standard. Your goal isn’t to develop software; your goal is to grow your business and software is a tool you’ll use to do that. When your development company really understands your short- and long-term goals plus the challenges you’re facing in the pursuit of them, they’ll be able to prioritize requirements, suggest features, and help you perfect your idea so you can successfully design for the future. At Bitbean, we take the time to learn what drives our clients, what their goals look like, where they want to be, and what is getting in the way of their growth. We call this method our Shifting Perspectives® approach, and it’s one of the things that sets us apart from other software development companies. The best software works every time you fire it up, but tech can change, use can change, and requirements can change over time. The software development company that builds your application will know it best, which means it will be the best choice for support after deployment. As you research different development companies, look for firms that offer after-development services like maintenance, backup, scaling, patching, and troubleshooting. A lot of people will tell you that you should be looking for a company that works in SCRUM or uses Agile development models, but there are all kinds of software development models out there. Look for companies that can explain their development methodologies and are committed to there being regular interaction between stakeholders and developers. If your business philosophy and your company culture doesn’t mesh well with your firm’s development model, you risk a lot of frustration. Ideally, everyone involved in your project will be on the same page when it comes to how to get the work done. The fact is that not every software development company is right for every project. Just because a firm has great coding chops, a strong portfolio, enough manpower to handle your project, and time to take a new client doesn’t mean they’ll be the best fit. Some firms specialize in huge, multi-year enterprise-level development projects and aren’t going to give a smaller project the kind of individualized attention that you may be looking for. Plus, they sometimes charge a lot for what they do. On the other hand, there are small and mid-sized development firms with skilled coders that provide amazing niche software solutions across the board. Never hesitate to ask firms how many developers they have, how many people would be working on your project, and if they feel comfortable with the scope of it. You don’t necessarily need the biggest firm — just one that has the resources to do the job well. Yes-men can be an asset in the boardroom, but you don’t want them on your software development team. Watch out for developers who will agree to do anything a customer asks for, however outlandish the request. Your developer should be willing to say no when saying no is warranted because they are an expert. You should choose a software developer that will tell you when what you’re asking for isn’t practical, could lead to problems down the line, or simply isn’t feasible. That way, you can pivot quickly and focus on ideas that will work. The end users for your application should be a factor at every stage of development, so if you get the sense that a developer isn’t interested in intelligent UX development, move on. You need to be 100% sure that the developer you choose will offer your users (whether that’s your workforce or they’re your customers) a great experience. At Bitbean, our UX design process is collaborative and involves a lot of feedback review. We put design ideas in front of users as soon as possible so we can refine them, get more feedback, and refine further. The goal of early and ongoing testing is to create an end product that users love. Quality assurance is such an important part of software development, yet so many firms leave it out of the process entirely. Developers test code but a quality assurance engineer will look at your application from lots of angles and test for bugs that coders (who are close to the code) might miss. Choosing a developer that has a QA plan ensures that bugs and vulnerabilities are removed from your application before it is put into the hands of users. Your software project timeline should include frequent incremental deployments so you’re not waiting around for months only to be handed a fully developed application that doesn’t quite meet your requirements. When you’re seeing progress from week to week, development happens more quickly and you can identify and correct problems or shift focus when necessary. Before you hire a software company, you should be 100% sure that you will have full rights to the source code when your project is complete. Make sure that’s addressed in your contract. That way, you’ll never end up in a situation where you see another company using your application. A lot of developers use open source coding resources but if they’re buying resources, make sure those are included in the project budget and that you will own them. If your developer is using custom resources, be sure you’ll get a royalty-free license to use it. 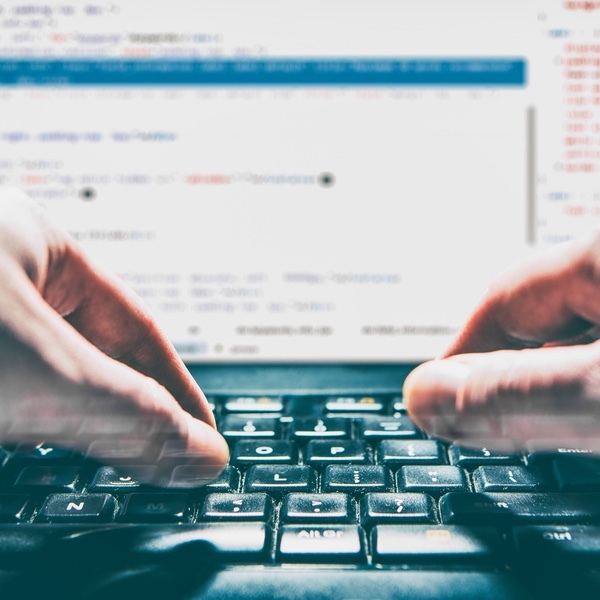 If your goal is to have a totally custom software application at the end of the development process, then be absolutely sure your software development company will do rigorous security testing. Custom software products that are cloud-based may initially have vulnerabilities that need to be fixed before launch or that emerge after launch, so security solutions have to be in place from the beginning, robust, and scalable. Before you sign a contract with a development firm, ask them how they handle vulnerabilities testing and ongoing monitoring. Do they code with security in mind? Knowing the answers to these questions is especially important if you’re developing a tool or product that will require users to log in or to share sensitive information. Choosing the right software development company may just be critical to your company’s future, so do your research, ask the right questions, and above all, be patient. Look for a firm that will help you identify opportunities for growth and build software that will evolve with your business. At Bitbean, we want to see your company become an industry leader whether you come to us for software development, UX design, product strategy, or web development.